Students are hungry for learning that matters. Project based learning has students involved in explaining their answers to real-life questions or challenges. A project's driving question or challenge is so deep that it requires students to create an end product and share their conclusions with others. Instead of traditional projects that come at the end of a unit of study, project-based learning has the project introduced at the beginning of the unit. The project gives students a reason for learning the content and a venue for practicing 21st century skills. The projects my own teachers would assign me always came at the end of a unit. Everything I needed to know was taught through direct instruction, and then we got to spend a couple days working on a culminating project. I had already learned all the content. The project's purpose was to reinforce that learning. Depending on your context, content, and pupils, it might be much more meaningful and engaging for students to do project based learning. Students are driven to learn content and skills for an authentic purpose. Maybe their project can make a difference in the world. Read Crafting Questions That Drive Projects for ideas on how to set the stage for projects that "dent the universe." Try launching a project with something that stokes students' curiosity and interest. Often called an entry event, the opening activity might include a field trip, guest speaker, video, mystery, or experiment that gives students just enough background knowledge to start their investigation. 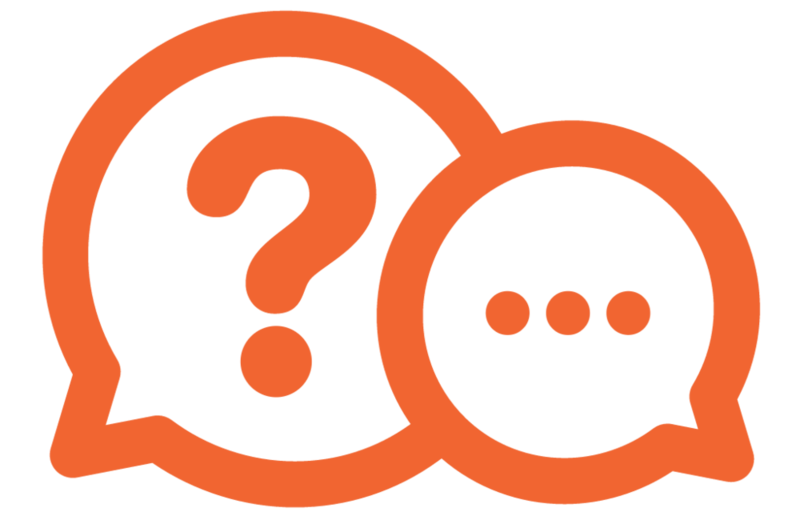 A project’s driving question is deep and leads to many more questions. In fact, before and during investigation, students should somehow record branching questions. The answers to these questions are important for the project and branch off the driving questions and each other. They are specific and can guide student research. I’d say that the thinking skills students practice while investigating their answers to driving questions is far more important than the content they discover. I’d also say the role of the teacher is more important than ever. 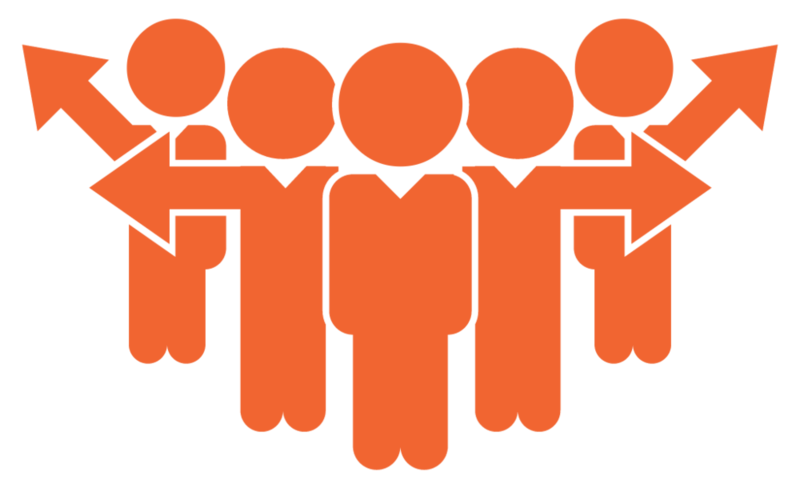 You’ll probably wish you could clone yourself so that you can meet more often with groups of students to coach them through their investigations. I love the questions Rebecca Alber suggests teachers ask students. I think they are great ones to pose throughout the course of investigation. It’s likely students are working in small groups for their projects. Do students stay together for the entire investigation? Or do they split up and investigate separately and then come back together to share their findings? How students investigate really depends on your situation. Sticking together has the advantage of students being able to continually discuss and interpret what they find. They can practice asking each other critical thinking questions. However, this can significantly slow down the process and might not give students practice finding answers independently. Dividing up the work and reporting back to the group has students working interdependently. Chances are there are dozens of branching questions waiting to be answered. By assigning sets of questions to individual group members, students can divide and conquer the huge task in front of them. Each student reports back his or her findings to the group, where everyone can piece together and interpret the findings. If students use a mind map to brainstorm branching questions, that map can be used to sort and assign questions to different group members. Poppet and Coggle great because students can color code their questions. Connor can take blue, Ellie can take orange, and Dewey can take the grey questions. Even if the driving question is absolutely irresistible and you launched your project with a dramatic entry event, your students will probably still need help focusing during their investigation. Frequent conferencing with the teacher is one way to keep students on track. Like I said, you will wish you could clone yourself so you can meet with more students. But it’s ok if you can’t see every student every day. You might consider drafting a contract with students where they agree to use their investigation time wisely. You can model your contract after others you find online. I think it’s great if you can include ideas from your students in the contract. BIE Project Team Contract is a simple agreement for students to sign. BIE Project Team Contract is for students to write how they will work together. Group Contract Suggestions from Ian Stevenson lists possible items for student-generated contracts. Teamwork Rubric from BIE is aimed at grades K-2. Collaboration Rubric from BIE is aimed at grades 6-12. Ginger Lewman has lots of advice in her post 7 Reasons to Use Contracts in a PBL Classroom + Tips for Use. To make sure students are making the most of their time, you’ll want some sort of accountability system linked to that contract. One way to do this is to have students fill out a Google Form at the end of each work period. The form can be an opportunity to reflect on what they accomplished with their time. The form can also ask students to rate themselves on how much they were on task. It could also ask students what they plan to do next. I really like Andrew Miller’s idea of having team representatives. Instead of halting your class to a standstill to gain everyone’s attention, Andrew suggests inviting a representative from each group to a meeting. The teacher gives each representative a memo or announcements to pass along to their teams. Andrew has written more tips in his post 20 Tips for Managing Project-Based Learning. Teachers spoon feed their students information because it’s clean and controlled. As a teacher it’s tempting to set up students for success by providing too much support. But, students are passive recipients when spoon fed. When they feed themselves, they are active and can decide when they have had enough. When students feed themselves it can get messy and might take longer than spoon feeding. Steve Morgan makes a brilliant comparison of students being spoon fed and feeding themselves in this PDF. Students know the results they are “supposed” to get. The question are steps are predetermined for them. The teacher is working harder than the students. Even when feeding themselves, students need a menu. If your students are advanced and preparing their own food, they still need the ingredients. So, students may need starting points to help them investigate their questions. You might gather books, magazines, photos, and other print material that can help them find answers. You might gather contact information for people students could interview. You might gather building materials or supplies for experiments. Blendspace: Share web links as large tiles. Symbaloo: Share web links on a grid of clickable icons. Listly: Make a list of links with a screenshot for each item. Weebly: Create a website and add web links as text, buttons, or images. Google Sites: Create a website and add web links. Shared Document: Create a Google or Word document and share the link. It's nice to organize and store text, photos, recordings, and files in an app designed for note taking. Evernote is available online and as a mobile app. OneNote from Microsoft is also available online and as a mobile app. Google Keep is available online and as an app. Notability has great handwriting and drawing features. It's only available for Mac and iOS. Office Lens for iOS, Android, and Windows is free. Evernote Scannable for iOS is free. Prizmo for iOS is $9.99. Google Goggles for Android is free. Translate Photo for iOS is free. TextGrabber is for iOS or Android and is usually $4.99. 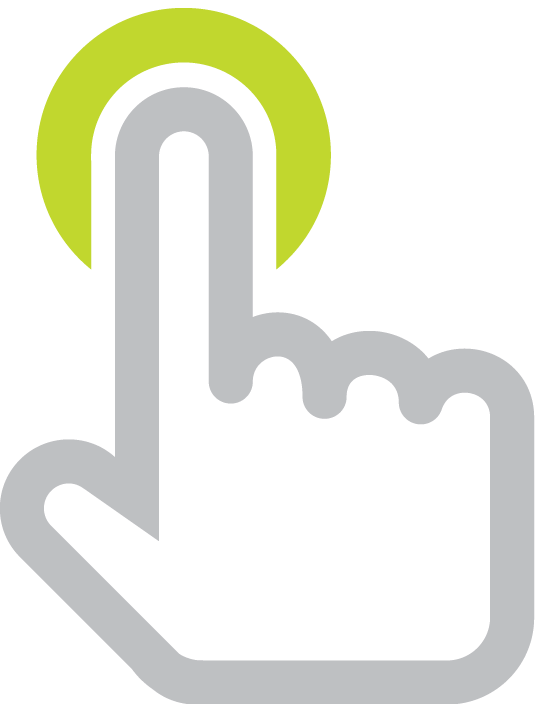 If students are saving webpages to look at later, they might consider using a web service that can categorize or tag resources. As an alternative to placing bookmarked pages into folders, tagging allows for resources to be put into multiple categories. eduClipper is designed for students to clip resources onto Pinterest-like boards. Diigo is designed to tag web pages. It also has highlighting and commenting features. Keeping notes in a Google Doc is my favorite way for students to keep notes. I like it because groups of students can collaboratively contribute to the same set of notes. I love that students can share the notes with their teacher. This way the teacher can eavesdrop and provide feedback. Google Drive’s comments feature is perfect for this. Chances are students will turn to Google to search for answers. Yet, most internet users do not really know how Google works. Google relies on a complicated algorithm they call PageRank. While PageRank takes into account many factors like the web address, words on the page, and age of the site, its biggest component has to do with backlinks. Backlinks are incoming hyperlinks from other sites. Google figures that webpages that are linked to by other sites must be good, so the more backlinks, the higher PageRank score a site receives. The higher the PageRank, the higher on the search results a webpage will appear. Backlinks are so important to how Google sorts search results that before taking its current name, Google was known as BackRub (true story!). Change your wording: How might someone else phrase what you are looking for? Add keywords: What can you add to get more specific results? Find an exact phrase: Narrow a search by telling Google a specific phrase to find by putting the phrase inside of quotation marks. Find multiple exact phrases: You can include more than one exact phrase in a search. Just enclose each phrase with quotation marks. Exclude a word or phrase: Place a minus sign in front of word you do not want to appear in your search results. Specify media type: Click Google’s links to limit your search to websites, images, videos, or news. Get recent results: To filter your results to items updated recently, click Search tools and change Any time to a specific time period. Specify reading level: Narrow your results to a basic, intermediate, or advanced reading level by clicking Search tools, choosing Reading level, and clicking one of the options. Be a search superstar: Combine the above techniques into a single search to really enhance your search results! It might be easier to use Google's Advanced Search page to craft a search query. I know some teachers who make this the default browser home page for their students. Making it the default means that students see it each time they open a new window or tab, reminding them that there are lots of ways to fine-tune a Google search. Check out Jeff Dunn’s 15 Lesson Plans For Making Students Better Online Researchers for ways to teach search skills. 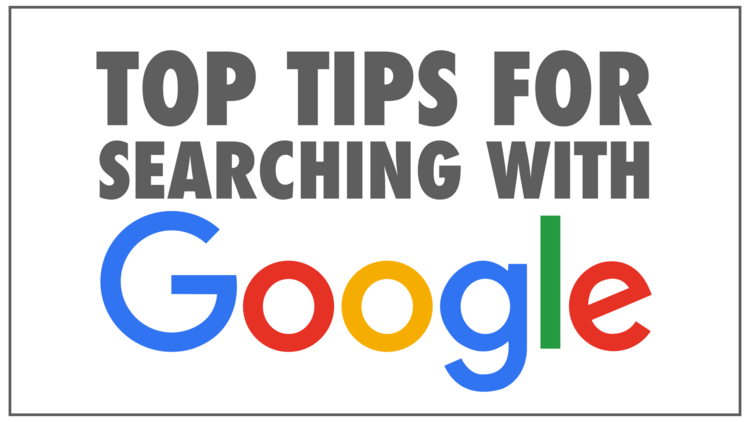 Also check out my list of Top Tips for Searching with Google. Have You Seen This? If students come across a resource with complex text, they can try simplifying it with Rewordify. To use it, paste text or a web address into Rewordify and click the Rewordify text button. You are then presented with annotated text. Harder vocabulary is replaced with simpler words and explanations for easier understanding. If you search Diigo you are searching through links that others have already curated. If you search YouTube or Vimeo, you are searching through videos that others have uploaded. If you search Twitter, Facebook, or Google Plus, you are searching through information that has been recently posted. If you search Slideshare or PPT Search Engine, you are searching through slideshows that others have uploaded. If you search Pinterest or eduClipper, you are searching through links that others have taken the time to pin. Did You Know This? If you come across a dead link on the internet, and you really want to read what was on that page, try using the Wayback Machine from Internet Archive. Internet Archive has been making copies of webpages since the late 90s. Simply paste the rotten web address into the Wayback Machine to see if there are older versions you can view. Internet Archive also has a Save Page Now feature. You can paste a link and it will capture the page as it appears that moment so you have a trusted copy for the future. Finding a word or phrase on a page can save lots of time skimming and scanning long web pages, lengthy PDFs, and large slide decks. In 2011 only 10% of U.S. internet users knew how to use Control/Command + F to find a word or phrase in a document or web page. If you’re not into keyboard shortcuts, you can usually choose the Find option from an app’s Edit menu. I bet an even lower percentage know how to do a Find on Page on iOS and Android. Since you can’t hold down Control and press F on a touchscreen, Apple and Google have alternative ways to call up the Find on Page feature. On an iPad or iPhone it’s not intuitive. When viewing a page in Safari, click the search/address bar at the top of the screen. Clear what’s there and enter the word or phrase you’d like to find. I know it seems like you are typing a new Google search or new URL to visit, but don’t give up. After you enter what you’re searching for on the page, a section of the items appear below what you entered. The first part says Google Search. Below that section might be Bookmarks and History. Scroll down and the last section is On This Page. You can see the search term you entered and how many matches there are on the page. Clicking the term in the On This Page section will take you to the word or phrase and highlight it in yellow. You can see the next match by clicking the arrow at the bottom of the screen. It’s easier on an Android tablet or smartphone. In Chrome on Android, click the menu button that’s on the right side of the search/address bar. Select Find in page and enter the text you want to search for. If there are matches, they will be highlighted and you can use the arrows to skip to the next match. How does the information compare to other sources? Is it written by an expert? What is the author’s purpose in posting the information? What point of view is represented? The Onion is a satirical news source. Zapato Productions is home to infamous hoaxes like the tree octopus and aluminum foil deflector beanies. All About Explorers lists the historical figures that young students often research. The biographies are full of misinformation. 9 Fun Photos That Are Totally Fake shows that Photoshop can be used for trickery! Dehydrated Water and Dihydrogen Monoxide FAQ are about water. Feline Reactions to Bearded Men is among Improbably Research’s fake studies. Museum of Hoaxes is an archive of historical, online, and photo hoaxes. What about Wikipedia? It’s pretty much unavoidable. Students are going to find and use articles on Wikipedia. I refer to it often, and so do a lot of other responsible folks. Since anyone can put anything on the web, Wikipedia really isn’t any different from other websites. How about teaching students to be skeptical of any information they find, whether it’s on Wikipedia or found through Googling? Investigation can be more than internet searches. Students might interview experts. Interviews could be done by phone, email, chat, forums, Skype, Hangout, or FaceTime. Interviews may be recorded and some of that audio and video might be used in a final product. For example, students in Portland, Maine interviewed homeless people in their community. They pieced together stories, audio, video, and photos to produce touching movies about homelessness. This is documented in Edutopia’s video, Anatomy of a Project: “Give Me Shelter”. Wondering who students might interview? Consider who you already know. Is your cousin a farmer who can talk about raising chickens? Or, does your cousin work with the spouse of a farmer? Chances are you are connected to someone who has connections. So ask around. Skype in the Classroom helps teachers find guest speakers. After logging in, you can indicate you are looking for guest speakers and choose a subject. Choosing Science shows results like Yellowstone Ranger and Richard Murphy, a marine biologist. Keep in mind that students might be interviewing someone in a different time zone. Use a time zone converter to be sure you are connecting at the right time. You can even use Google as a converter by entering a search like 2pm omaha to phoenix. Google will show you the conversion at the top of the results page. Sometimes investigation involves conducting experiments, trial and error, or data collection. My advice is for students to snap lots of photos and film videos of the process. 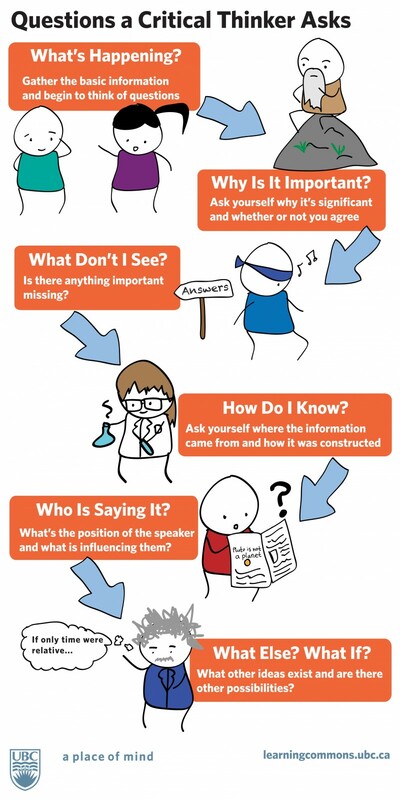 This may come in handy in presenting their final projects, and the multimedia is a great way to document the process. Have You Seen This? Snapguide is a handy app and website for creating step-by-step guides that can include text, images, and videos. Here’s a guide on how architecture students built a replica of a bridge in Japan. Albert Einstein is quoted, “I never teach my pupils. I only attempt to provide the conditions in which they can learn." As the leader of your classroom, you are in the best position to know what will work for your students. You know a lot about their reading levels, abilities, background knowledge, and interests. You know what resources are available and how much time can be spent investigating. Remember, the idea is that your students work harder than you. Admittedly, it is a lot of work to put in place contracts, establish procedures, check in with students, model search techniques, and manage resources. While you may not be busy spoon feeding your students, providing the conditions in which they can learn through investigation is a big job.